Defensive ticking time bomb - AVFC - Aston Villa Fansite, Blog, & Forum..
Aston Villa were one of the busier clubs as the loan market transfer window closed at the end of last week. Yet manager Steve Bruce still finds himself with defensive issues. Impressive looking signings like Tammy Abraham, Yannick Bolasie and Anwar El Ghazi have taken the headlines. They have rightly created a ripple of excitement amongst fans who have every reason to expect attacking football with such an influx of personnel. Of course, whether Bruce is capable of delivering such style is a point of debate for another time. However, these top billing signings have covered up what is an almighty oversight elsewhere in the squad. The fragility of our defence is a huge concern and we are currently skating on the thinnest of thin ice which is already beginning to crack. And I’m livid about the whole situation. Villa currently has just seven recognised senior defenders at the club. Four of those are right backs by trade; Ritchie De Laet, James Bree, Alan Hutton and Ahmed Elmohamady. Neil Taylor is our only recognised left-back. Whilst Axel Tuanzebe and James Chester are our only centre-backs currently on the books. To be heading into such a long stretch of the season so poorly provisioned and unable to strengthen until January is shambolic. The decision especially to let Tommy Elphick leave has been quietly ignored by the media whereas, in reality, Bruce should’ve been called out. He should never have considered sanctioning such a deal leaving us so light on the defensive front. 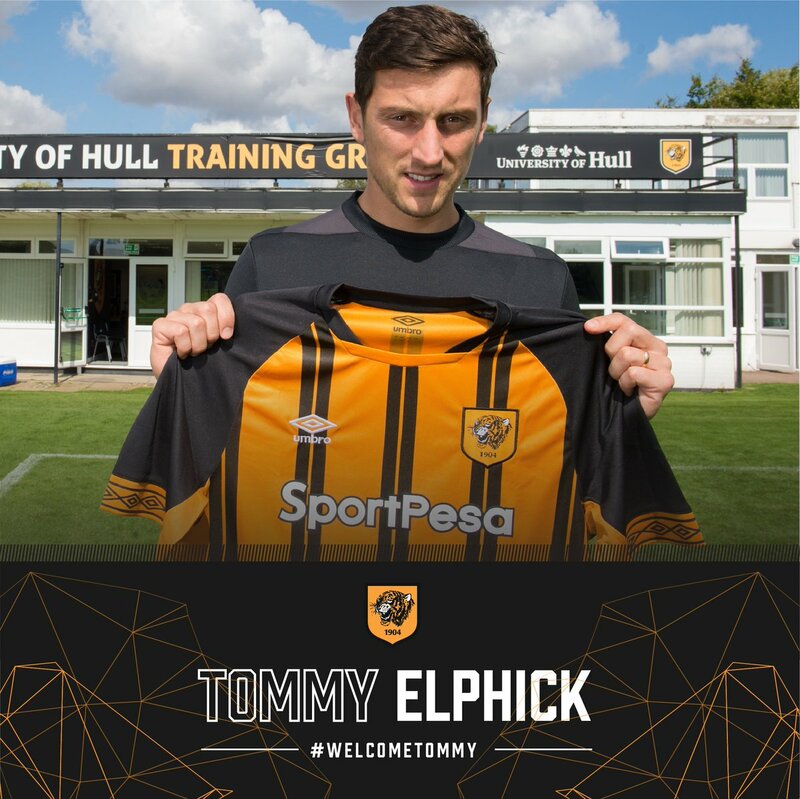 Elphick may have his detractors. But for me, the guy was a more than useful member of the squad. Don’t forget that this is a man who has captained a team out of this league as Champions; he’s no mug. We only really ever saw glimpses of what he could do for us. His shaky start during the short and ill-fated Roberto Di Matteo reign should not be what he is judged on. I honestly believe that with a sustained run in the first team, and more importantly, with the backing of his manager, he would’ve been a very good player for us. Bruce clearly never fancied him. Even after he stepped in at crucial times last season in John Terry’s absence. He proved he was more than capable, noticeably at the Riverside in a 1-0 against Middlesborough where he was outstanding. But even if Bruce didn’t fancy him, he was at the very least cover for a threadbare defence. Now we don’t even have any defensive numbers in reserve. Which is absolute madness? Imagine constructing a squad where you have literally no other bodies than those already occupying the first team week in, week out. Jedinak is not a defender! As everybody can see, except the man who claims to ‘know what I’m doing’. The decision to try and permanently convert Mile Jedinak into a centre back is not working. And worse, it is part of the reason why we have squandered the opportunity to really take advantage of what has been a relatively easy start to the season. We already have the joint third worst defensive record in the division. And this is through playing obviously poor opponents such as Ipswich, Hull City and Reading; teams that are currently occupying three of the bottom four positions. God help us when we face a team such as Marcelo Bielsa’s rampant Leeds United. In addition, continuing to play players out of position such as Axel Tuanzebe and Alan Hutton. Three out of four defenders in no-natural positions. You can get away with Hutton at left back as he seemed to transition across with no bother last season. But when you start experimenting all at once in a similar manner in the way that Bruce is, it’s a disaster waiting to happen. The more I think about it, the more irritated I get. Bruce refuses to let the shackles off this team but we are no more solid for it. If we are going to concede goals, then we at least have to try and have some attacking intent. The goalkeeper situation is borderline ridiculous also. Orjan Nyland hasn’t been totally convincing. In his defence, it’s rare for a goalkeeper to just come in and be amazing straight off the bat so we can persevere here a little longer. He has also shown signs of being a good addition. No less with his miraculous double save against Reading which seems more incredible with every viewing. I genuinely think we are talking Gordon Banks v Pele levels, it was that good. However, the decision to bring in Andre Moreira on loan seems unnecessary. To an extent, I can understand loaning out Jed Steer to get him game time, although I think at 25 years old if he wasn’t ready to be our number one this season, then realistically he is never going to be. But the opportunity to then bump up Matija Sarkic closer to first team action has been missed and he remains fourth choice behind Moreira and Mark Bunn also. Whilst the additions of Bolasie, El Ghazi and Abraham are pleasing, in reality, it’s hard to feel like it all just counts for nothing due to the ticking time bomb that is our defensive frailty. Sooner or later, there will be injuries and suspensions. If Chester, in particular, is a victim of either, then we are in serious trouble. I find it amazing that Bruce has gotten away with leaving the squad so short. At the time of writing, there are rumours of looking to bring back John Terry. This is all well and good, and most supporters would be happy to see him return, but we won’t be fooled into thinking it’s anything other than yet another short-term fix. And by the sounds of things, the deal is by no means a certainty. There is a train of thought that Bruce has underhandedly created this situation in an attempt to have the deal sanctioned. Who knows, but the conspiracy fits. I genuinely think the state of the defence is going to massively affect any chance we have of promotion this season. The lack of cover is literally non existent. What’s worse is that irrespective of cover, we haven’t even got a recognised, solid centre-half pairing appearing week in week out anyway. The standard to which our defence has been operating is what we would expect from a makeshift backline crippled by injuries, not our intended first choice options. To neglect the team and the squad in this way is beyond shortsighted. It’s reckless. And I can’t see anything other than it culminating in a season of hanging onto the coat tails of the playoff places at best. We will concede goals, as we have seen already. If we can outscore the opposition, then fine. But there are precious little signs of that happening so far. Bruce is fast approaching two years in this job now and to have reached this point after four transfer windows with such an unbalanced squad and such a lack of depth at the back is mind blowing. The options and resources available to him that being at a club the size of Villa afford to make it unforgivable. It is surely only a matter of time before we are officially recruiting a successor for the role of manager. Hopefully, we’re still in touch by January for whoever that is to be able to strengthen the obvious and gaping holes in our defensive options. The Evening Mail tells us that Brucie is brill, 4 promotions, operating on a shoestring, almost made it last year, only 3 points off promotion, too early to judge……. They can’t tell us why Bielsa has utterly transformed Leeds, why Smith consistently outperforms us on a real shoe-string and above all why anyone can find the anti-football that Bruce’s set-up to defend a 0-0 lead produces. They can’t explain his non-preparation, his boast that he doesn’t do tactics, his appalling performance in the transfer market, his idiotic playing of people out of position, his bizarre substitutions, too late to make a difference anyway, his refusal to play the kids – and then overplaying Davies, his entirely self-inflicted centre-back problem. His slagging of players he brought in for failing in a team which had 9 changes and clearly had not been prepared in any way. He has the most expensive squad, the most resources the biggest crowd and they are happy with the crap he serves up. God help us. What will it take for lazy, complacent, ‘we-know-more -than-you-peasants’ journalists to actually write something incisive and intelligent rather than this turgid Steve has got 4 promotions therefore he knows best crap.